Sometimes, images say it all. 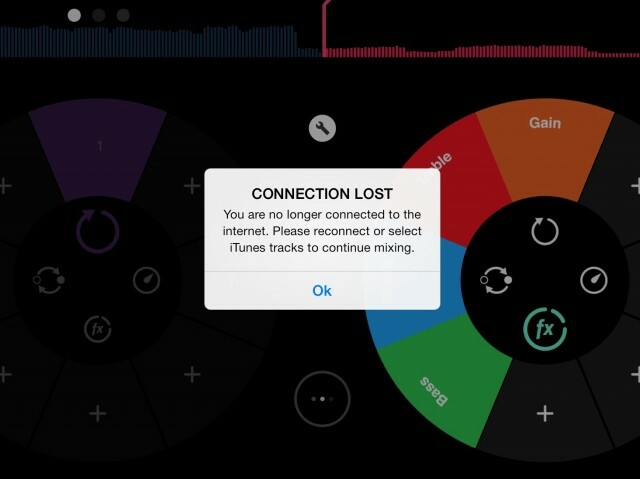 Pictured below is what happens when you try to use Pacemaker’s Spotify functionality on the iPad without an Internet connection. Tracks simply don’t play at all. Even though Spotify Premium users have offline access to their tracks when listening one at a time, you won’t be able to DJ that way any time soon. Above, you’ll see that you can’t record mixes even with an Internet connection if you try to use a Spotify song. But given how many small, boutique labels and independent artists rely on enthusiast DJs to care enough to download their records, it’s hard to see this as bad news. That enthusiast market has been a ray of hope for people who want music to have value – not even necessarily in a terribly-profitable monetary sense, but as a way of distinguishing the relationship you have to music you really care about. And Pacemaker had to specifically license Spotify. 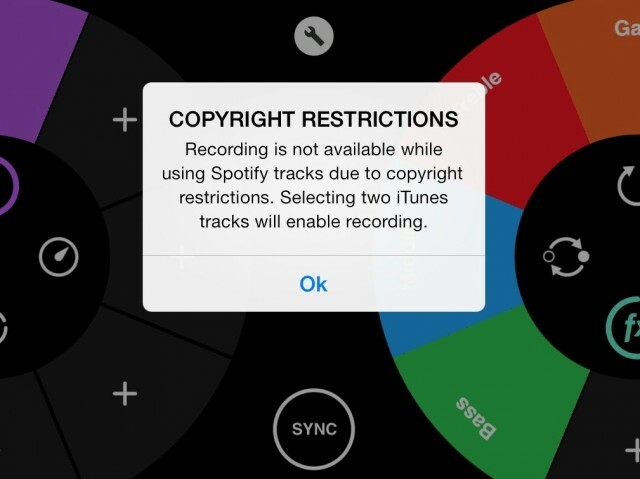 Other DJ apps don’t yet support the functionality, and it’s unclear whether Spotify will open up to them, too if they do seek such a license. Of course, for wedding and other party DJs wanting to quickly play requests, Pacemaker will still be a huge boon in venues that do have an Internet connection. And those are probably not tracks you really care about. Oh, yeah – and as mobile Internet becomes more readily available, this app may still send chills down the spines of anyone working on recording music.